When you’re sick, you expect to be cared for by the right provider to keep you healthy and safe. But that is not always the case in our province these days. Ontario has the lowest RN-to-population ratio in the country. To cut costs, RNs are being replaced with less qualified and less expensive care providers. RNs are trained to provide person-centred care for patients with the most complex needs, and evidence shows RN care reduces complications and deaths. So having fewer RNs means your safety is at risk. Ontario's population is aging and its needs are changing. If we're going to keep pace, we can't get tripped up by short-sighted budgetary decisions. We need the right care providers at the right time, and that means reclaiming the role of the RN in the name of patient safety. 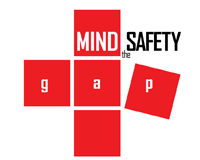 See the Mind the Safety Gap in Health System Transformation report now.